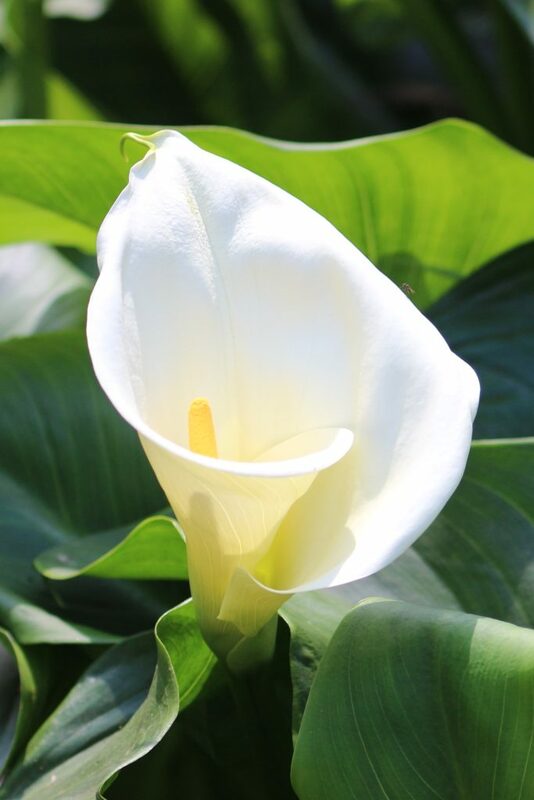 Calla lily, mistakenly called arum, is certainly one of the most beautiful bulb flowers. From planting to pruning, every bit of attention goes towards helping the growth and bloom of your arum. Follow our advice to produce magnificent arums! Arum bulbs are planted at the beginning of spring, around 1 ½ to 2 inches deep, from March to May. Space tubers around 12 to 16 inches (30 to 40 cm) apart, because arum has wide-reaching leaves and needs space. Choose a location that is in full sun but stays cool. 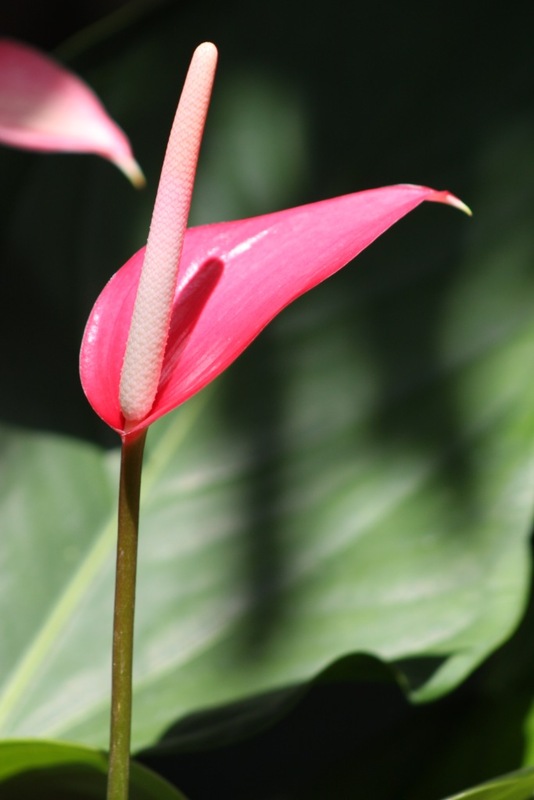 Don’t plant in very dry soil, because arum requires cool, moist soil. Alternate your arums with other bulbs that bloom in summer. Water sparingly at the beginning and then more regularly once flowers have appeared, until the end of the blooming season. Arum grows very well adjoining a body of water, which indicates how much it needs water. Like all bulbs that bloom in summer, water in case of prolonged dry spells or heat waves. Cut them short before the first frost spells. Do not cut before leaves have turned completely yellow, since this is the span of time when they are building up their nutrient reserves for the next blooming cycle. 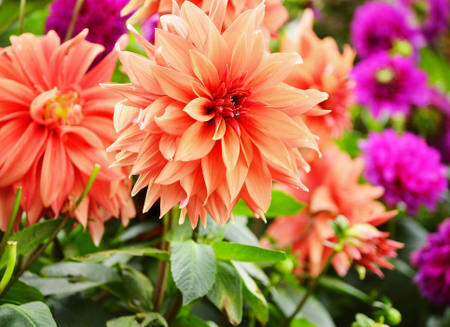 For spectacular blooming, add special bulb plant fertilizer. Arum or calla lily is quite hardy even in cool winters. In areas that are prone to cold winters, protect the rhizomes with a thick layer of mulch. The mulch can either be a bed of dried leaves, hemp or flax straw, or ferns. Tip: Before winter, dig out a portion of the rhizome and pot it in your house, and you’ll have arums in winter. Once the leaves are completely yellow, you can cut them to the shortest. Remove the bulb from its pot, cleaning the dirt off delicately. Set it for the winter in a cool spot where it doesn’t freeze. This storage spot must also be very dry and dark, for example a small shoebox with a ventilation hole pierced in it. 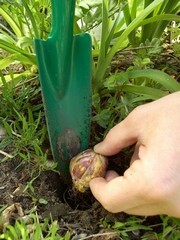 In March, you can bring your bulb out and plant it again in new soil mix. Start watering again when the soil is dry and your arum will bear flowers again. You can also stow the bulb away without removing it from its pot, but the soil mix needs replacing every two years anyway. See also our tips on all the bulbs that bloom in summer. This bulb perennial is native to South Africa, not from Ethiopia as its scientific name shows. Particularly exotic, it is perfectly suited to wet areas like water bodies and ponds, but is also the perfect plant for your flower beds, edges or standalone spots. Even thought the spelling is arum, it is pronounced [uh-rome]! These flowers are pure marvels, before the blooming is over, cut a few stems off and place them in a beautiful vase!